The Associated Press had this report over the weekend about the slim amount of work product taxpayers received in exchange for $310,000 paid to a contractor with personal connections to N.C. Health and Human Services Secretary Aldona Wos. Joe Hauck, who has since returned to his previous job working for a company owned by Wos’ husband, was one of several controversial expensive hires and personal services contracts Wos, a Greensboro physician and Republican fundraiser, used to build her executive team. 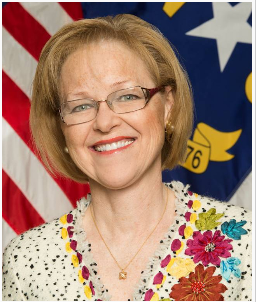 In the year Wos has led DHHS, several of her top hires have departed, including then-24-year-old McCrory campaign worker Ricky Diaz who earned $85,000 a year as Wos’ communications director, and Carol Steckel, who worked as the state’s Medicaid director for eight months before leaving her $210,000-a-year job. Wos’ former chief-of-staff Thomas Adams received a $37,000 settlement payment after spending just a month on the job, despite state hiring practices that bar severance packages in such situations. AP reporter Michael Biesecker first requested records related to Hauck in September and recently received a pair of memorandums from the agency no longer than three double-spaced pages as evidence of the 11 months Hauck spent working at the state agency. In response to public records requests filed in September by The Associated Press seeking all plans, proposals, documents, e-mails and any other work product authored by Hauck, the state agency has handed over a pair of memos totaling little more than three double-spaced pages. The agency also provided spreadsheets detailing cuts made in state funding to such nonprofit charities as food banks and pre-Kindergarten programs that were reportedly developed at Hauck’s direction. The agency handed over no emails Hauck exchanged with state employees, which are supposed to be public records. Hauck and his wife also donated more than $14,000 to McCrory’s gubernatorial campaign, the AP article mentions. One of the recommendations Hauck made, citing a previousDHHS study, is to save the agency money by avoiding expensive personal services contracts much like the one Hauck had. 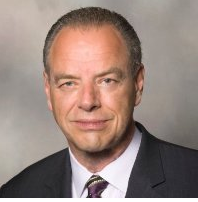 Ironically, one of the primary money-saving measures Hauck is credited with during his time at DHHS is a proposal to curtail the agency’s reliance on highly paid temporary contractors and costly overtime by hiring more full-time state employees and reducing high turnover. The unsigned briefing memos from May credited to Hauck summarize a 2012 study by agency staff of spending on contract workers. Hauck made the same recommendations as the earlier study — give substantial raises to the agency’s most highly qualified and hard-to-replace employees, such as doctors, nurses and dentists. According to the agency, Hauck’s recycled recommendations will save taxpayers $1.25 million annually. It is not clear from the documents provided how that number was calculated. I bet you this turd was on 1st name terms with the guv? Such are the ethics of NC politics. Wos is sure earning her $1.00 pay check. You get what you pay for.